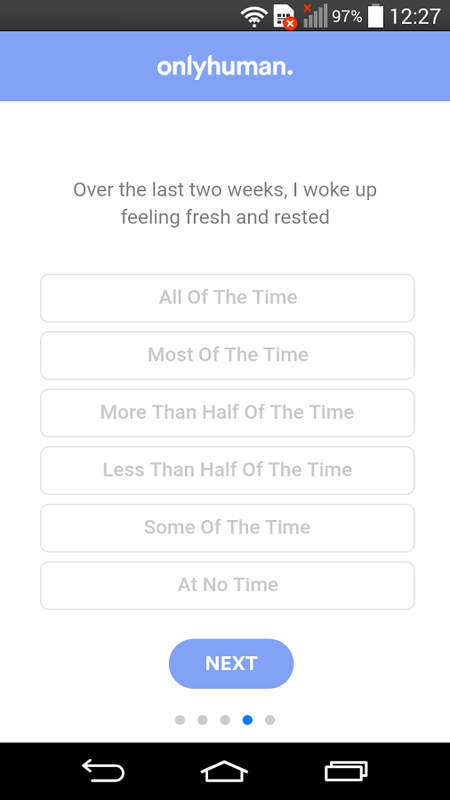 Onlyhuman is an app to help you feel better in your everyday life. Onlyhuman's formula is to use short films and simple tasks to boost wellbeing. The Onlyhuman team travelled the world and made 365 short films about how different people live. These films work together with evidence-based tasks (created by a team of experts) to boost your wellbeing. Uses short films and simple tasks to boost wellbeing. 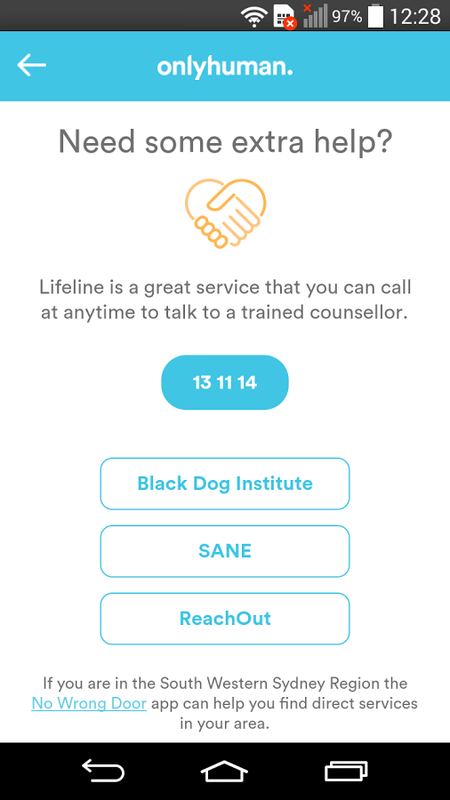 I would recommend this app to young people experiencing mild symptoms of anxiety, distress or low mood. 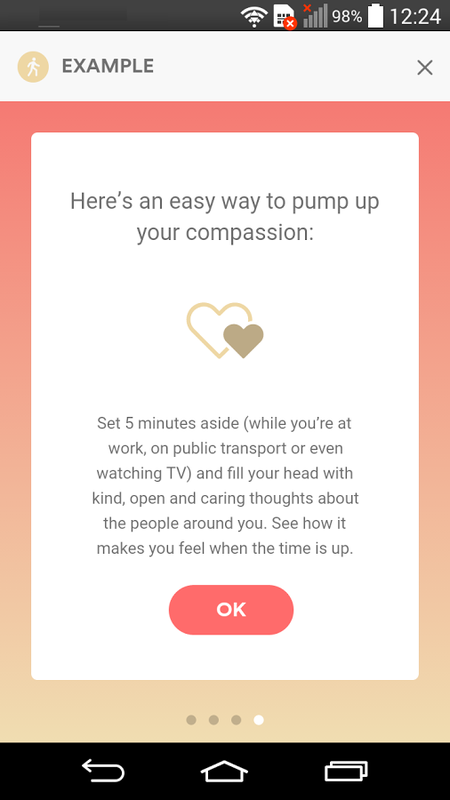 This app contains daily exercises that can help to reduce stress, foster healthy thinking patterns, and improve connection with others - all principles that can improve well-being and buffer us against stress/anxiety/depression. The layout and format are really nice. I don't have the time or patience to follow through with this app and the app assumes a certain level of self awareness from the user. I found the tasks tedious and unhelpful for day to day challenges. I like how you make progress as you continue to use the app daily. I found the mood rating before and after completing the daily task interesting and helpful. I like how quick and simple the steps are for each activity. The app is visually pleasing however at times I was a little confused about how to access different parts of the app.